MainAll NewsDefense/SecuritySoldier's Murderer: "I Was Unaware of My Actions"
Soldier's Murderer: "I Was Unaware of My Actions"
Main suspect in the Tomer Hazan murder claims he has unaware of his actions as he strangled Hazan to death. The "Al Tadamon" organization for citizens' rights has revealed an official statement by the legal party of Nadal Amar, the main suspect in the murder of IDF First Sergeant Tomer Hazan this past September, claiming that the terrorist was unaware of his actions, as recorded in yesterday's (Sunday) edition of the Hamas journal Palestine. The organization's lawyer, Muhammed Al-Abed, recently met Amar for the first time and claims that the terrorist has undergone harsh conditions and torture during the Israeli investigation and that Amar has confessed falsely to the murder. Amar claims, in a letter to the lawyer, that his brother Abdel Al-Salem originated the idea for the abduction, as a means of securing the release of their brother Nur A-din from a 29-year prison sentence. The pair were offered 5 million shekel compensation by an anonymous group. 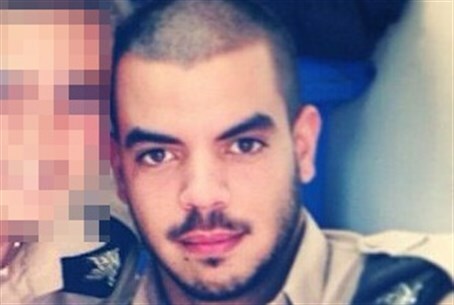 First Sergeant Tomer Hazan, who Amar claims was an "Air Force Pilot", worked at the same restaurant with Amar in Petach Tikva. Hazan was lured to the brothers' home in the Palestinian Arab village of Beit Amin on a pretext, where they then traveled to a nearby hill near the Palestinian settlement of K'far Siniria. When they arrived at the designated place, Hazan asked for money that Al-Salem owed him, only to be handcuffed, then strangled to death with Amar's belt. Amar claims that he was hysterical and not aware of his actions, due to fear of a long prison conviction for kidnapping an IDF soldier. Amar then claims he killed Hazan to prevent exposure of the case. Amar's insanity claims provide yet another strange wrinkle in the highly publicized case, one in a series of attacks across Judea and Samaria since September 2013.